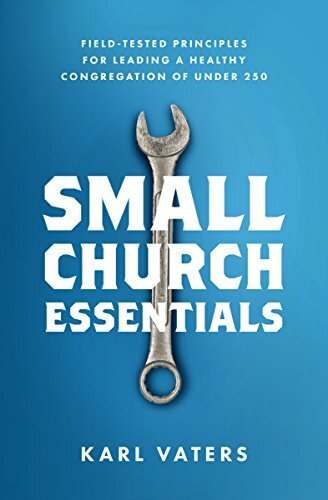 It may seem like 90 percent of what they’re doing is what your church is doing. But they’re vibrant, healthy and alive, while the church you’re from may be static, sick and dying. The truth is that the two churches may actually have a 90 percent overlap. But the last 10 percent? That’s the difference-maker. There are a ton of possible issues in that pesky 10 percent. But today I want to talk about one specific factor that makes the difference in many churches. The difference between innovators and imitators. God gave us a brain with an amazing capacity for recognizing patterns. That ability to see, learn and repeat patterns helps keep us alive. For instance, early farmers learned how to grow a healthy crop by recognizing, then repeating the pattern of plant, water and reap. That’s the 90 percent almost anyone can do. Creative people don't just recognize and repeat previous patterns, they recognize, repeat and build upon them. But creative people don't just recognize and repeat previous patterns. They recognize, repeat and build upon them. They extend those patterns into places no one has ever taken them before. That’s the extra 10 percent. It’s what turns a good church organist into a Johann Sebastian Bach, a good playright into a Shakespeare and a nice young monk into a Martin Luther. While business-as-usual means being content doing more of the same, innovation means studying the patterns that work, then pushing those patterns beyond their previous limits into brave new territory. Creative, innovative churches do the same thing. They see the patterns in Scripture, learn from the traditions established by godly predecessors, then honor them by extending their patterns out in creative new ways under the guidance of the Holy Spirit. Why Should Churches Be Creative? Their biggest concern is that being innovative might lead to abandoning some essential element of the gospel. But abandoning truth isn’t innovative. It’s foolish at best and heresy at worst.